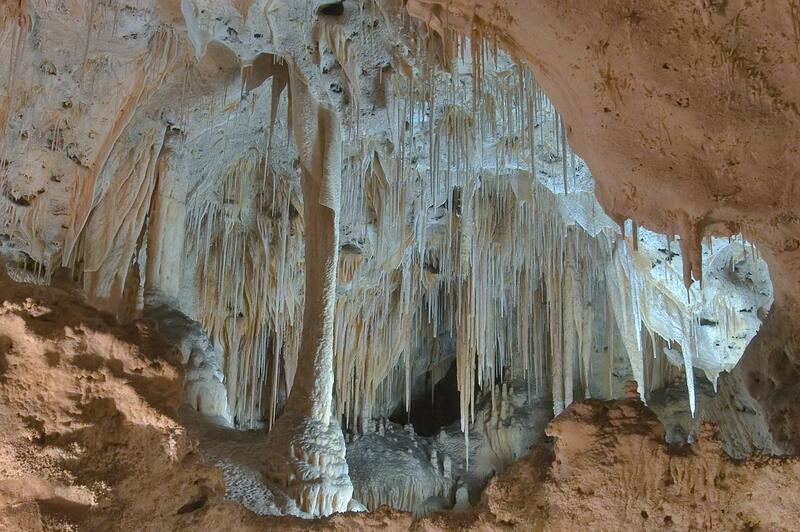 Carlsbad Caverns National Park, named for the nearest town of Carlsbad, is located in southeastern New Mexico. 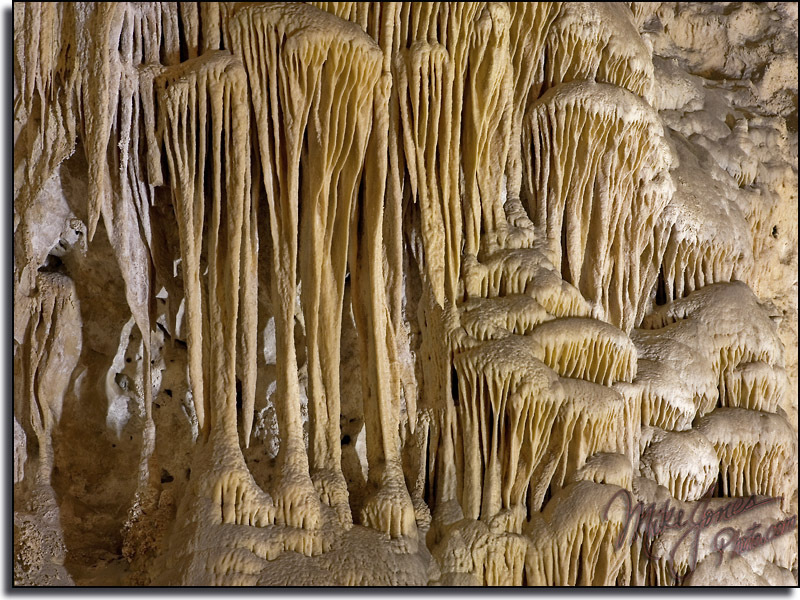 It is part of the Guadalupe Mountains. 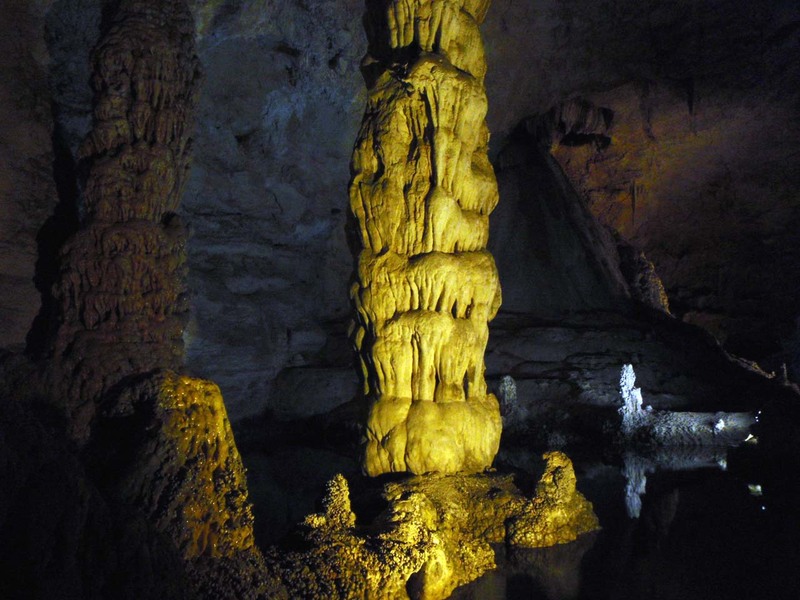 The limestone cavern includes many chambers, the largest of which is called the Big Room and is 4,000 feet 1,219 m) long, 625 feet (190.5 m) wide, and 350 feet (about 107 m) high at the highest point. This chamber is the 7th largest in the world and the 3rd largest on the North American continent. 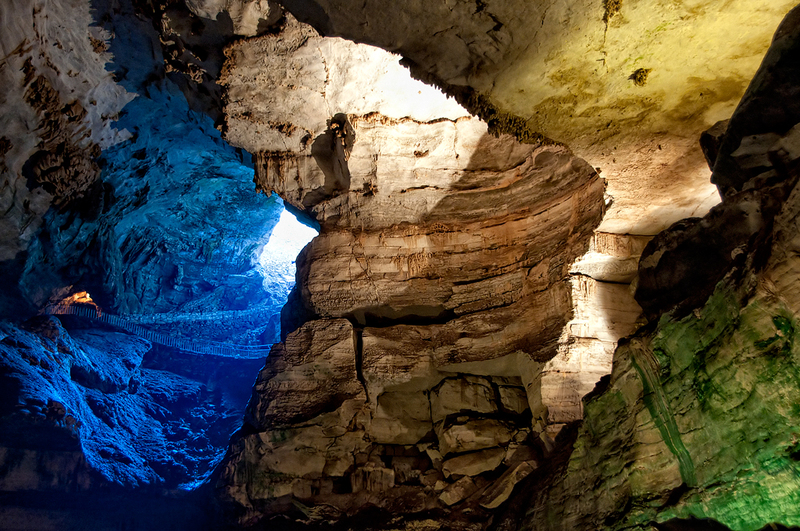 Visitors can choose to explore the caves via a hike down from the natural entrance, or take the elevator directly to the Underground Lunchroom 750 feet (230 m) below the surface. 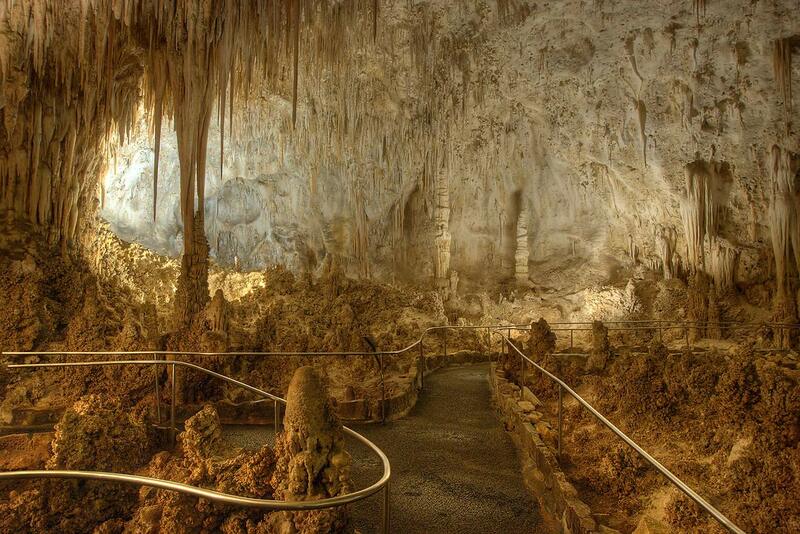 Visitors can take a ranger-guided or a self-guided tour through the caverns. 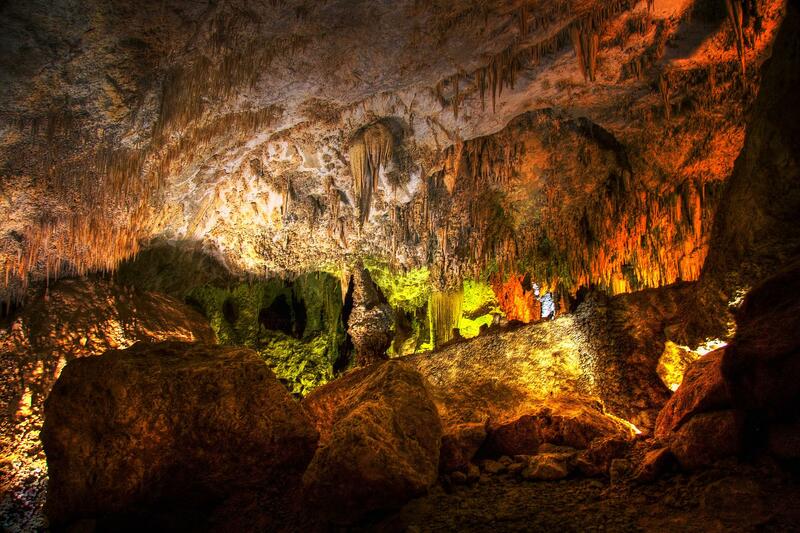 For hours of desperation and more information, see the Carlsbad Caverns National Park official website.